We are equipped to handle emergencies with appropriate treatments such as oxygen therapy, shock treatment, surgery, isolation, nursing care, feeding tubes, fluid therapy, nebulization, warming, pediatric and geriatric support. On-site diagnostics immediately available with the technical staff to administer care makes us capable for any event. 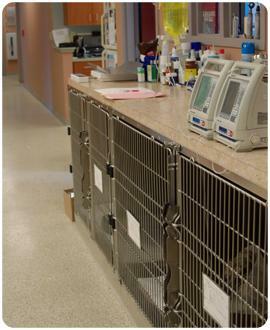 The Capital District Animal Emergency Clinic provides 24-hour care for your pet if necessary.